When you think of getting the Canada PR, the compelling reasons are the low unemployment rates, low growth of population, the ratio of immigrants to the overall population. 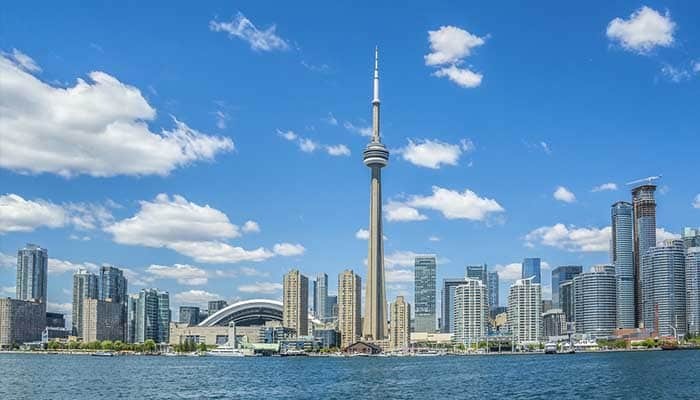 Now, Moneysense magazine did a survey to find out which are the best cities for leading your life in Canada as per these factors and it came with the results that the best cities are, Burlington(no.1), Vaughan(2), Calgary(3) and Saanich(8). Talking about the provinces where these cities are situated, they are Ontario(Vaughan and Burlington), Alberta(Calgary) and Saanich(British Columbia). Calgary provides so much to the people who decide to live here. With so many restaurants and cafes in Calgary, the residents have opulent lifestyles here. So, given any weekend you have a treat waiting for you at, a restaurant just costing 98 CAD which is equal to, Rs 5,000. This meal for two includes wine, appetizers, and dessert too. Calgary has understandable costs of residence. Given Calgary is in Alberta, immigration is attainable. To apply for immigration to Alberta, you should have at least 12 months of experience in either Canada or in your home country. Next in the list of “best cities to live” are the cities of Ontario(Vaughn, Burlington) which has one of the most unrestrictive immigration schemes. The province of Ontario allows a reasonable chance of immigration to all those candidates who have the 400 express entry points. These points are provided once you have CLB 7 or have relatives living in Canada. Besides these two conditions, with an excellent knowledge of French, you can be here. Also, when you think of Ontario, you can easily get to this province when you have some countable working experience. In Ontario, you can select Vaughn to live. It is not so hassling to live here in terms of costs. The meal for two at a restaurant costs only Rs 3,423. If you want to live in Vaughn the rent is not much at 1,166 CAD for a single bedroom apartment. British Columbia is one of the other provinces in this country where residence has been facilitated. Talking about, the immigration routes to this province, it allows immigration to candidate’s who have fresh or continuing employment here. Express entry-skilled worker immigration streams allow the province to take in those candidates who have been given service here. This need not be employment forever, but the promised duration of employment at the time of applying for the immigration to this province should not be less than 12 months. Saanich in British Columbia is one of the cities attracting higher immigration rates. The biggest reason for, why one should decide to live in Saanich is because it has affordable costs of houses(1,133 CAD per month). What is the Best Province to Immigrate to Canada? Canada immigration Canada Immigration, Canada PR. permalink.